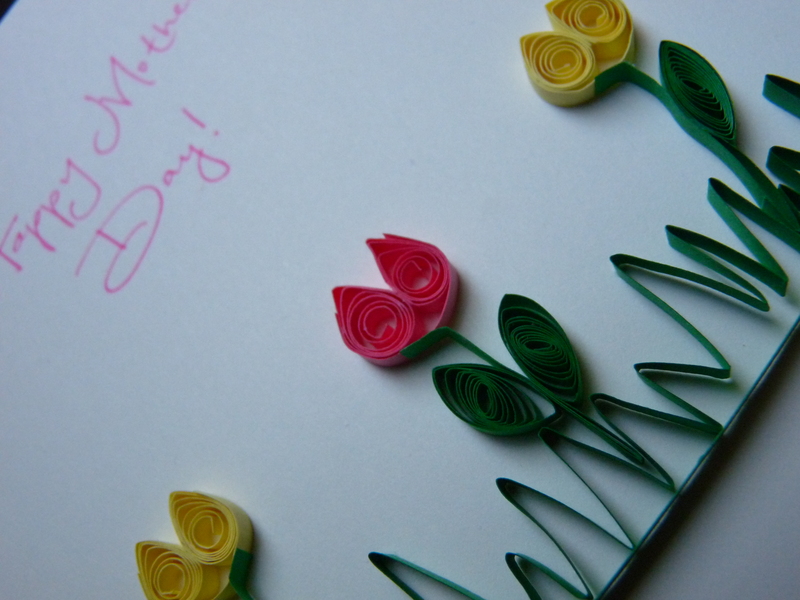 For Mother’s Day this year, I decided to make quilled cards. 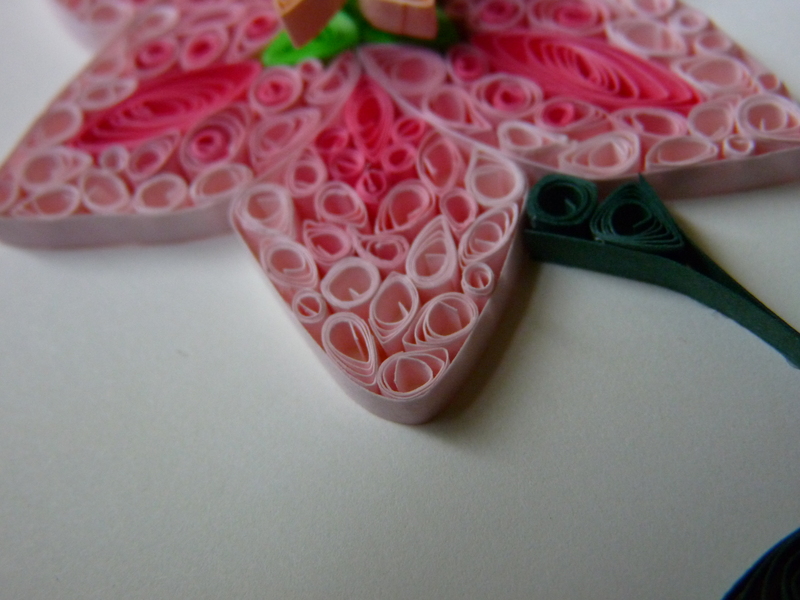 Quilling is relatively easy, once you have the right tools. It is, however, time-consuming. Especially when you get a little over zealous. I’ve come to the realization that I’m a crafting masochist. I always choose insanely detailed and time-consuming projects. 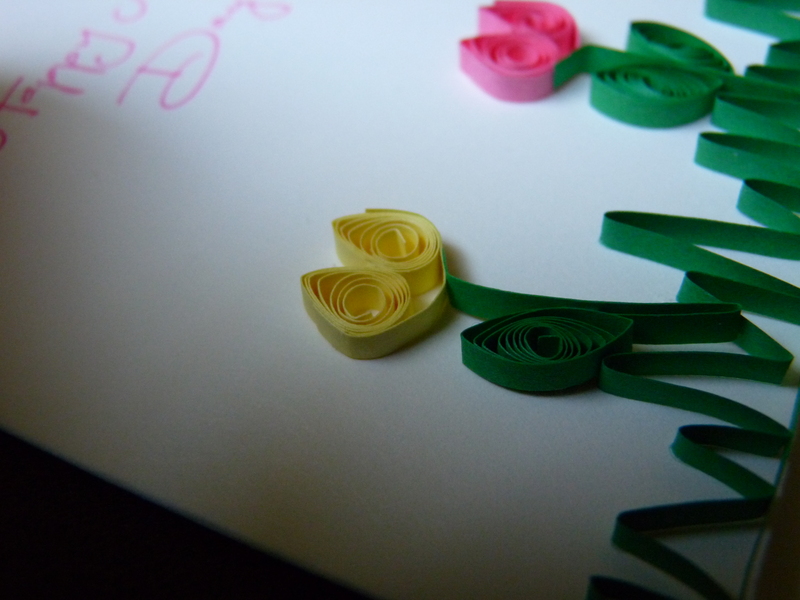 First I got these beautiful quilling papers. 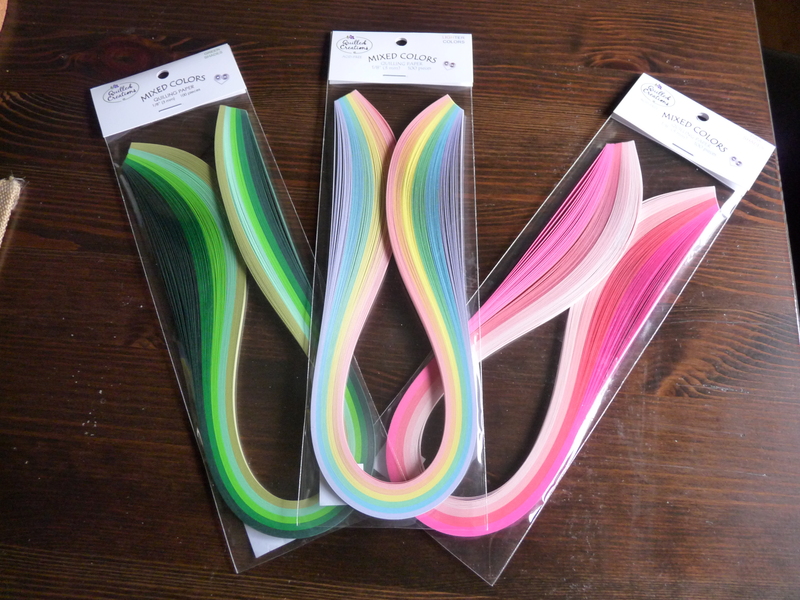 I was very disappointed to find out Michael’s no longer sells quilling supplies, but Archiver’s now has them. 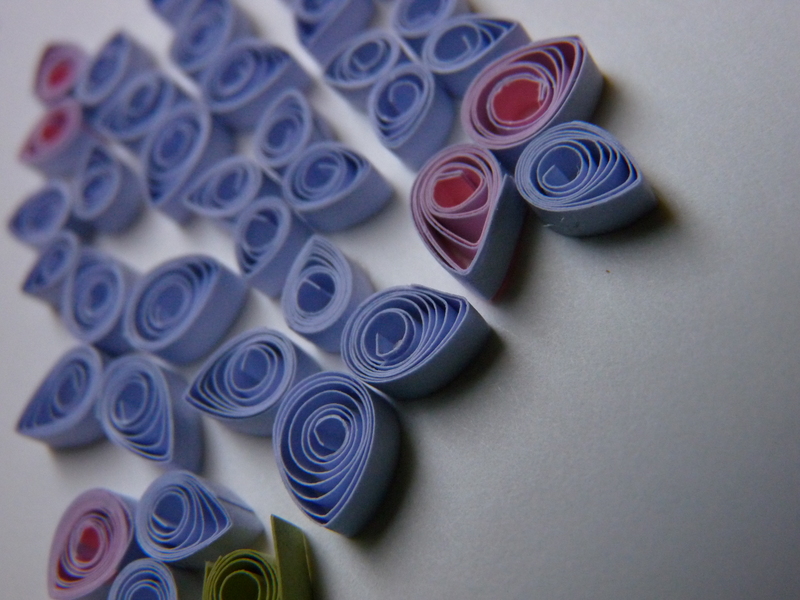 And actually, these papers were better quality than the kind I had gotten before at Michael’s. 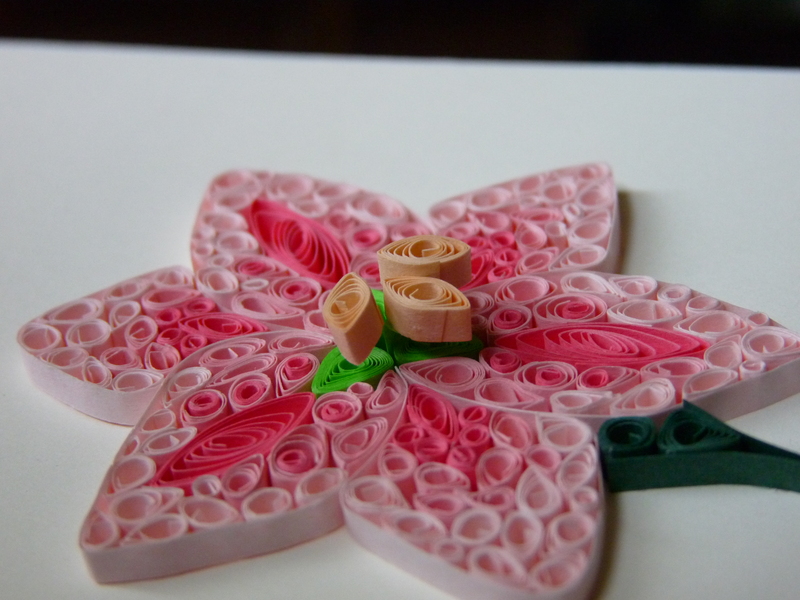 If you’re interested, there is a decent quilling tutorial here. 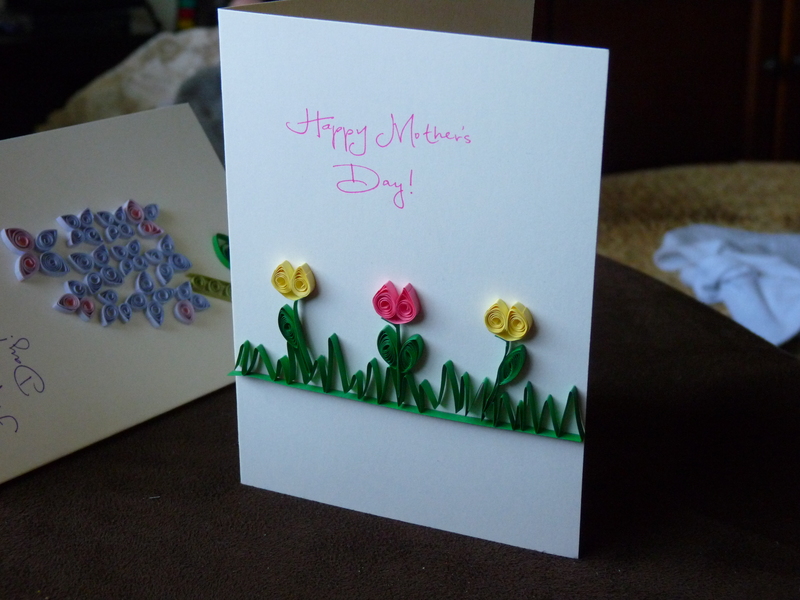 I decided to quill flowers for these cards. Actually, the grass was the most difficult part of this card. 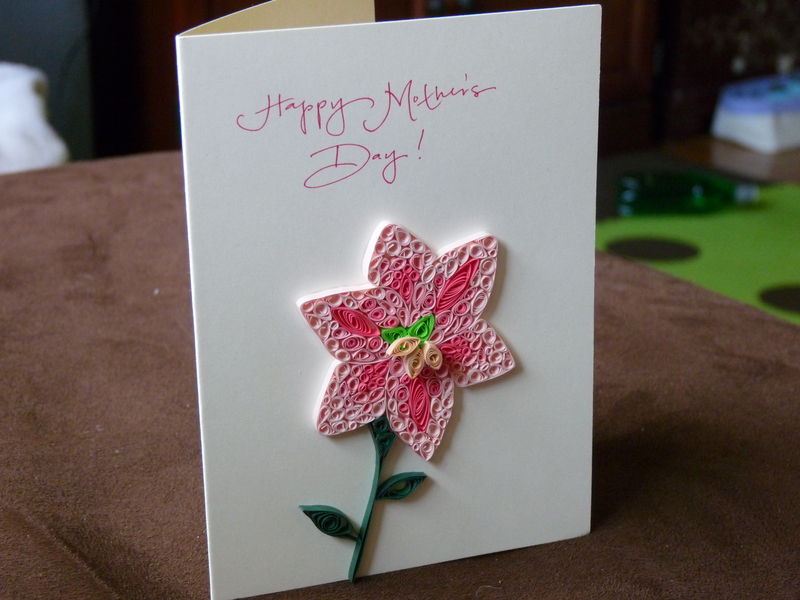 It was really hard to glue it onto the card and keep it straight. 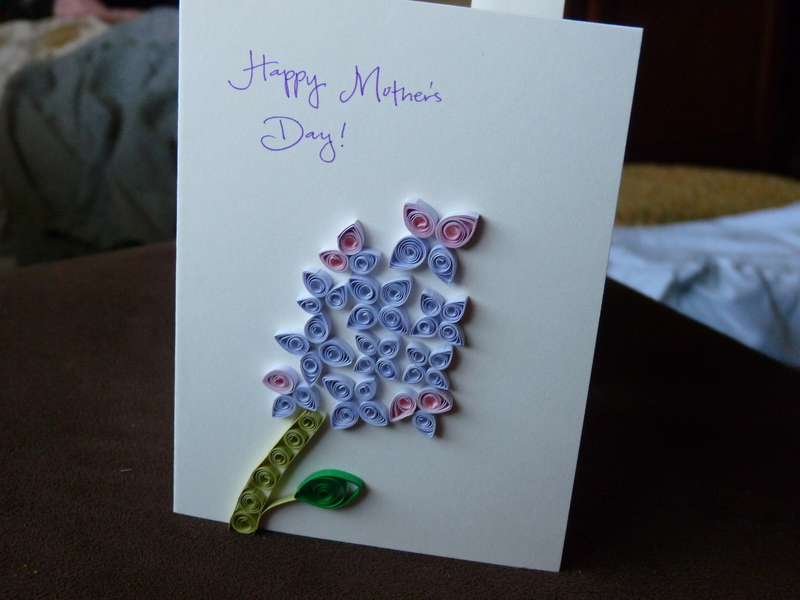 I did lilacs on another card. I wanted to give a realistic feel to the lilacs, so I wanted some color variation. 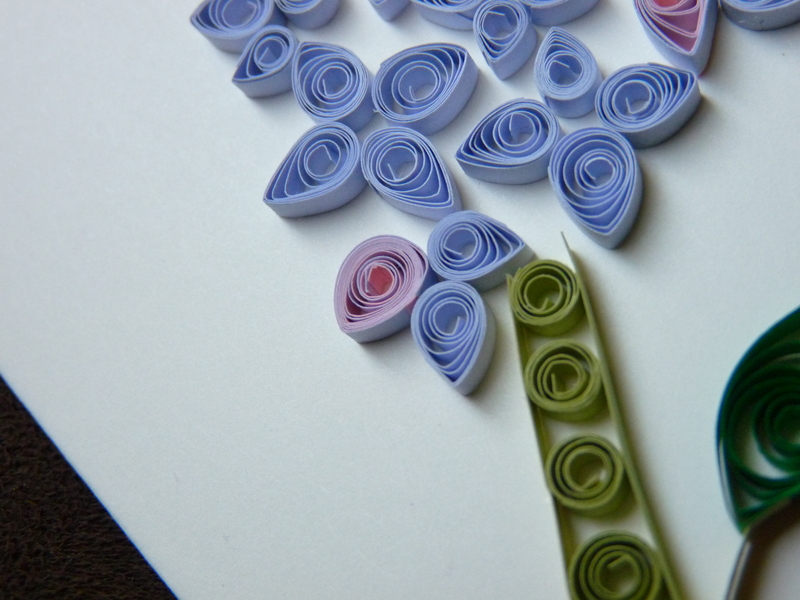 I only had one color of purple paper, so I quilled purple with pink on some of the petals. This one is meant to be a lily, but I’m not sure that’s completely obvious. I kinda got carried away on this one. 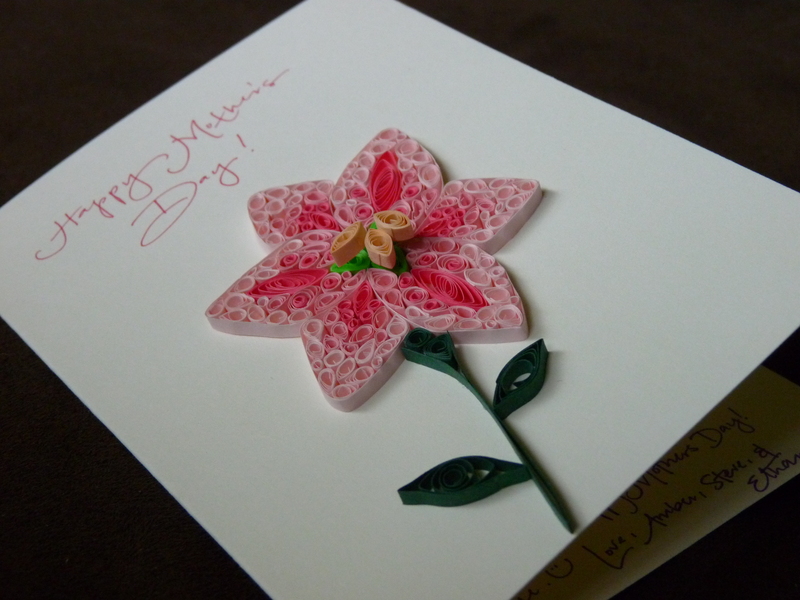 I wanted it to include the stamens so characteristic of lilies, so I added a 3D element. I’m not sure how this one survived the mail, though.